August is space month over here. 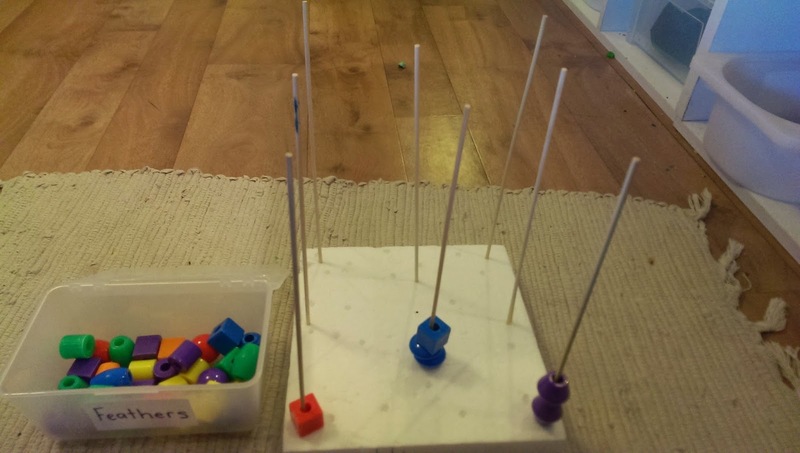 The littlies will be learning all about Space and the planets, while the big kids begin a study on Astronomy using Apologia's Exploring Creation with Astronomy. So lots of stars and planets around for a while. 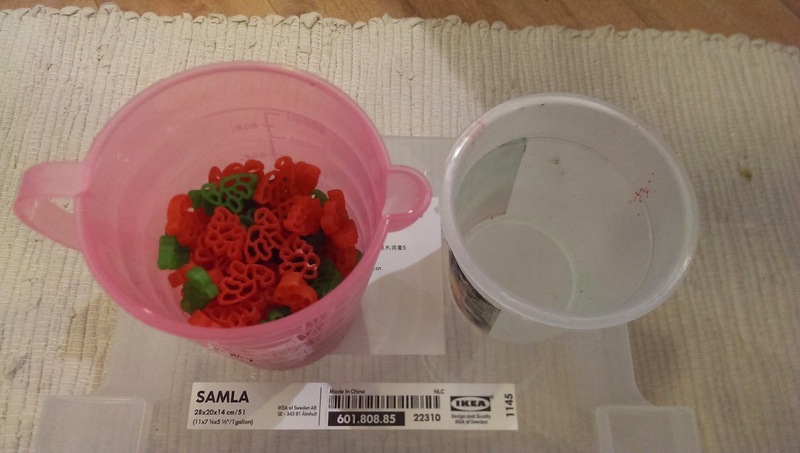 Here is a little look at what is on our workshelves for Sam and Nathanael this month. 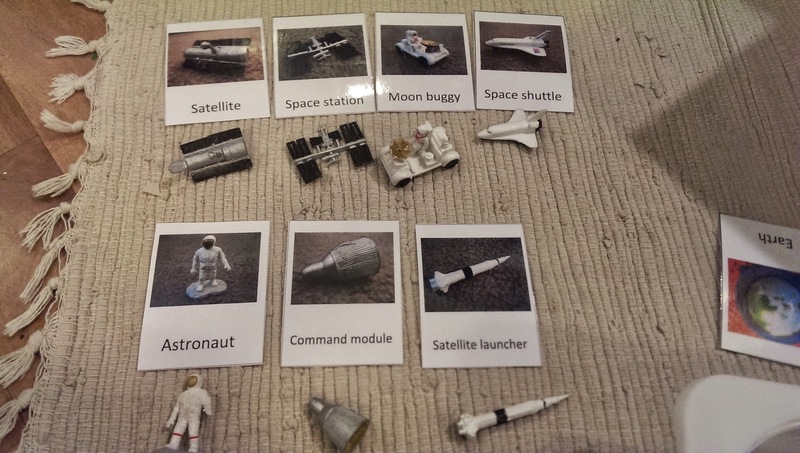 We have lots of other "spacey" activities planned to go along with these. 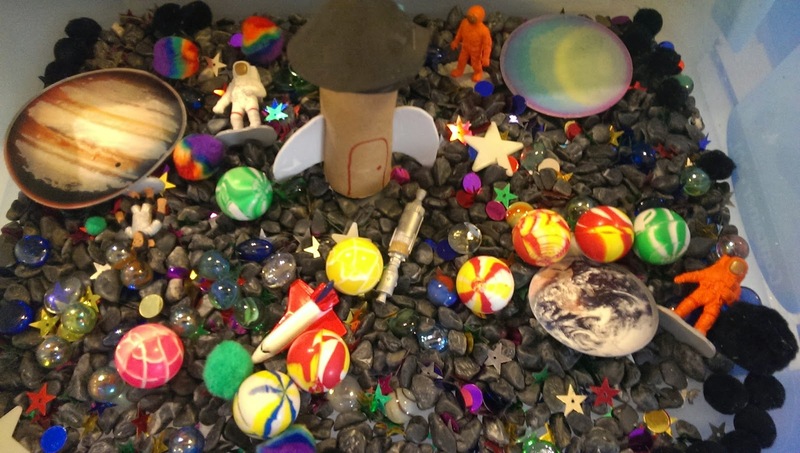 Firstly, our space sensory box. complete with glow in the dark planets and stars, bouncy planets, astronauts and a state of the art toilet roll rocket! 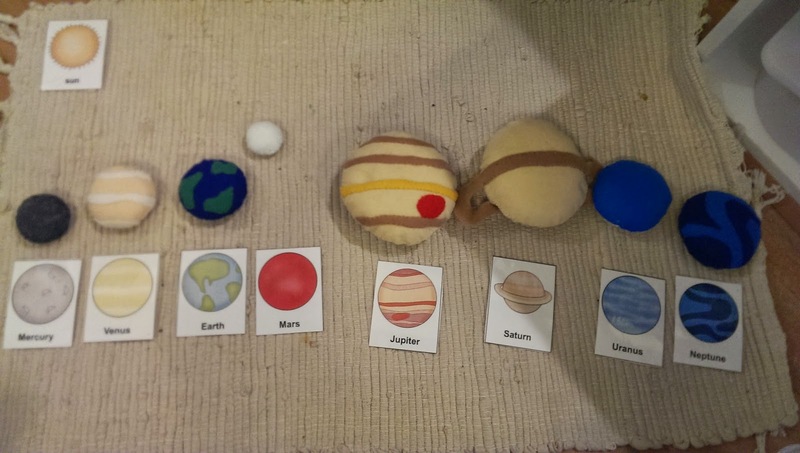 I sewed up some felt planets to match to our 3 part cards. Mars and the sun have gone missing somewhere! 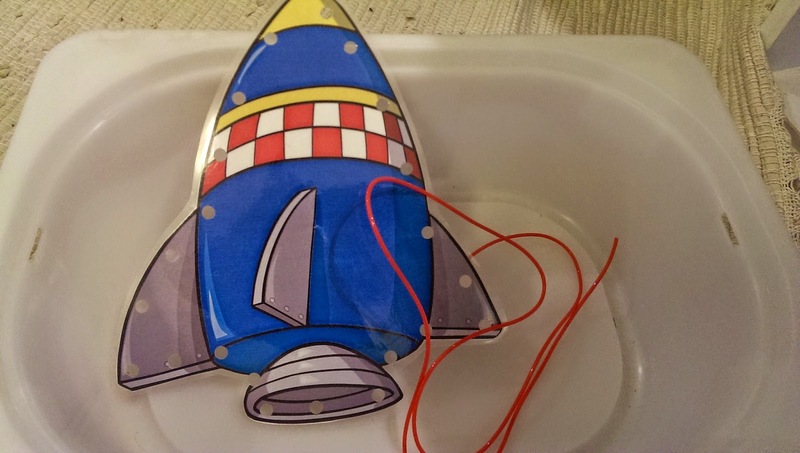 Rocket lacing card. We also have a moon, a sun, Saturn and an asteroid to swap out over the weeks. 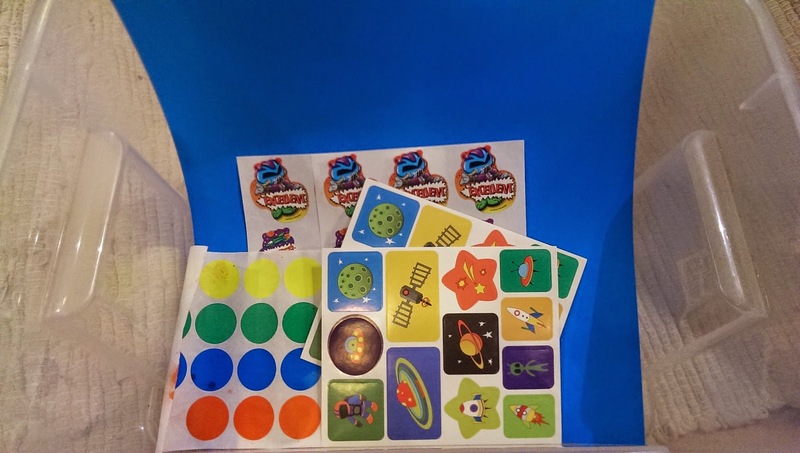 Space themed stickers to get those fine motor skills working. 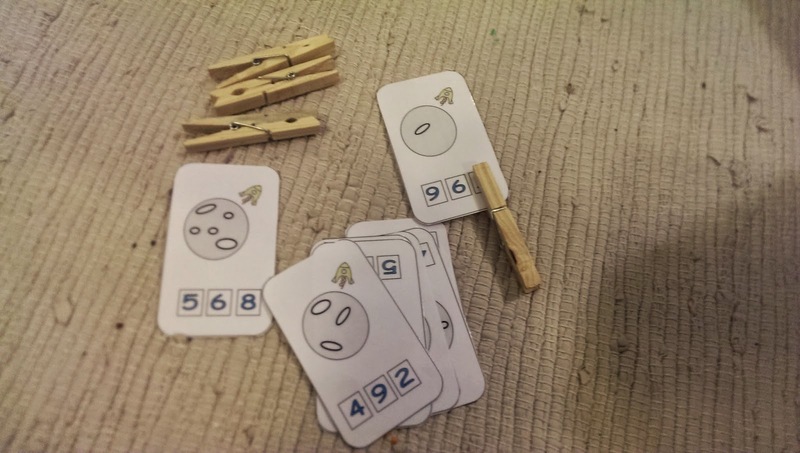 More 3 part card matching, this time with our space toob toys. More pouring practice for my pouring obsessed 2 year old. 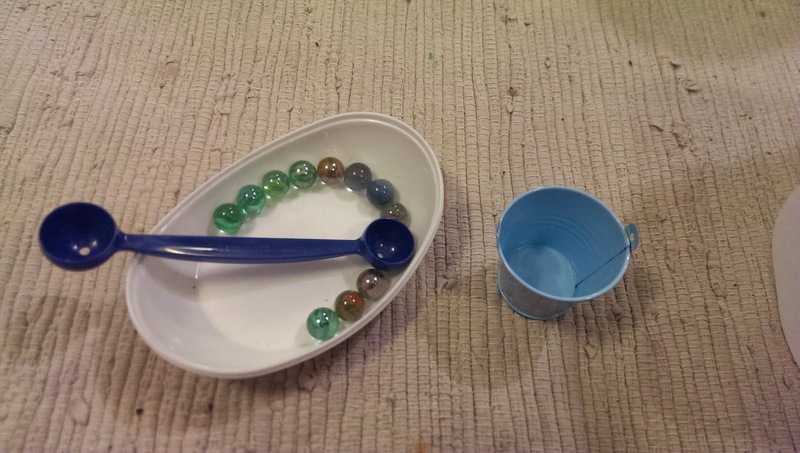 Spooning "planets" into the little bucket. 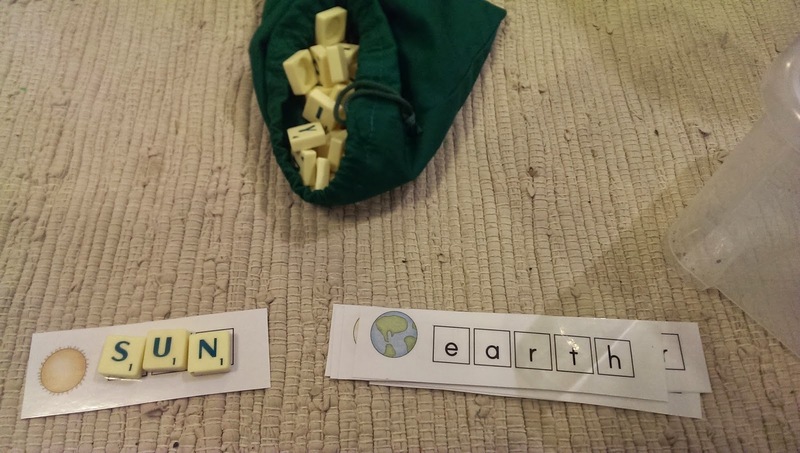 Spelling space words with scrabble tiles. 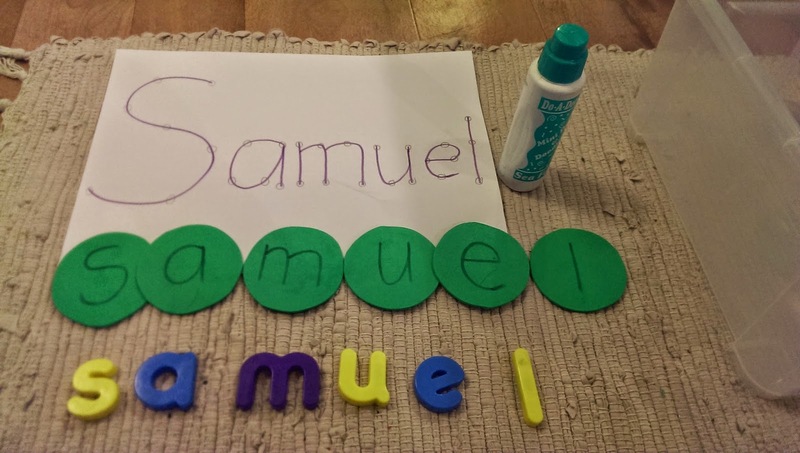 Some cards are all upper case, some are lower case so we can work on letter recognition. 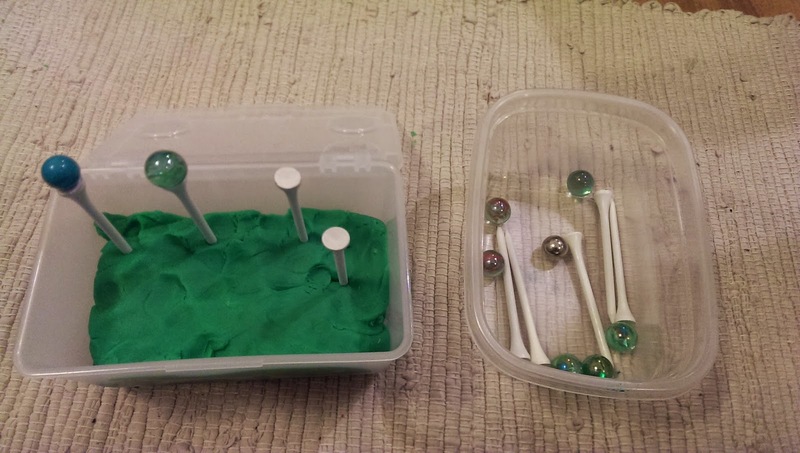 Balancing planets on golf tees in playdough. 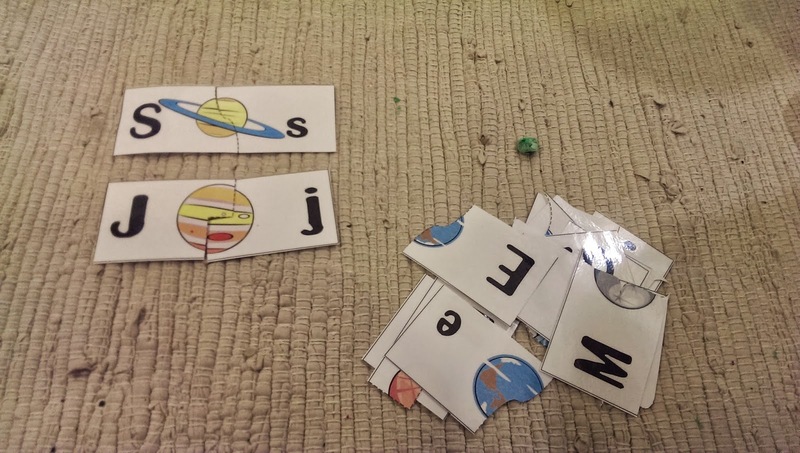 Capital/lower case match space jigsaws. 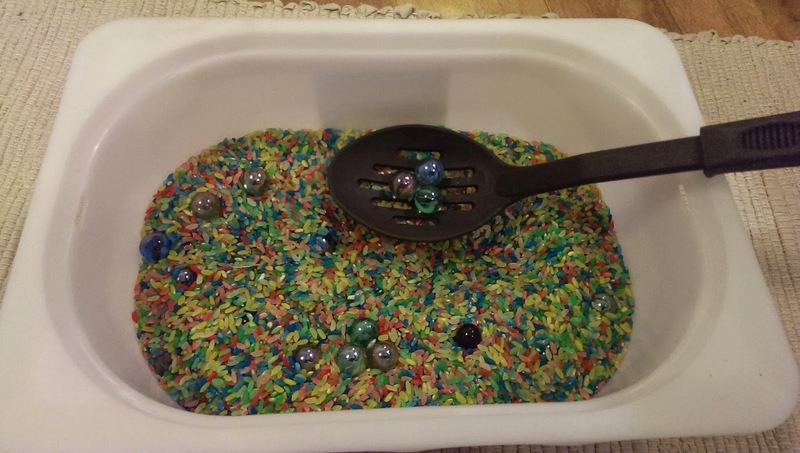 Finding the planets in the rice with a slotted spoon. 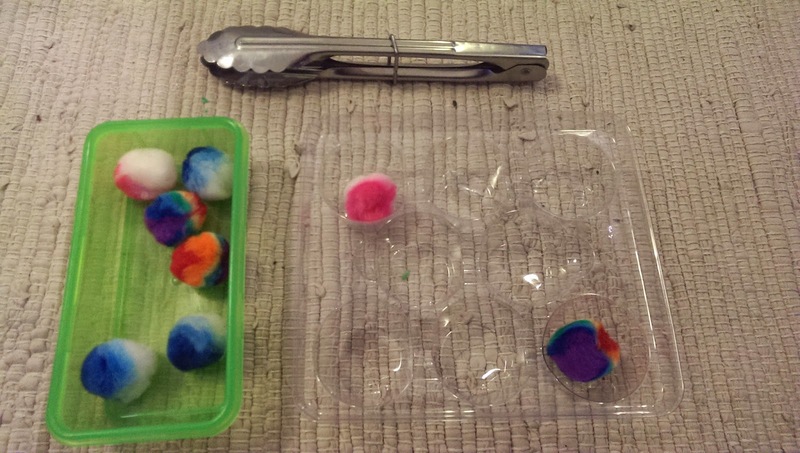 Transferring pom-pom asteroids with the tongs. 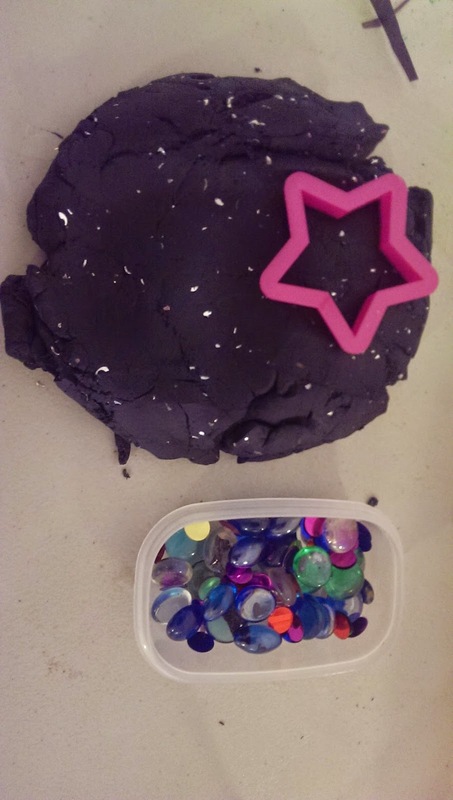 Glittery galaxy playdough with lots of glass planets to decorate with. And that is what is on the shelves this month!